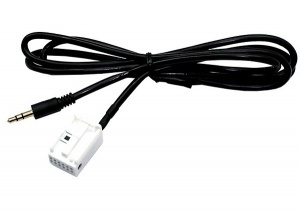 VW AUX input adapters and aux cables for VW Passat Beetle Golf Bora Polo Beetle Sharan Touareg Touran Transporter etc. 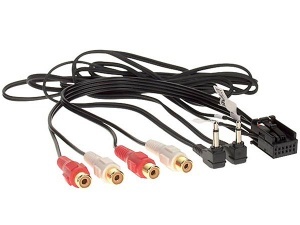 Connect iPod, iPhone, iPad, MP3 players and more via RCA phono or 3.5mm jack lead. 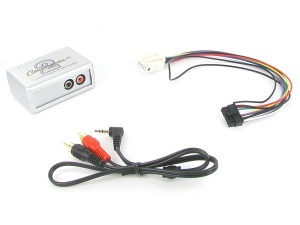 VW aux adapter for VW Beetle and Sharan. Connect any iPod, iPhone, mobile phone, MP3 player etc. to the factory fitted OEM radio in your Volkswagen. For Beetle and Sharan models 1999 - 2004 with Gamma (pre wired for CD changer) radio by Blaupunkt. Full details inside. 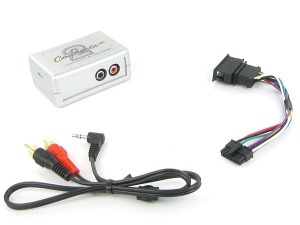 VW aux adapter for VW Passat. Connect any iPod, iPhone, mobile phone, MP3 player etc. to the factory fitted OEM radio in your Volkswagen. For VW models pre 1997 with Gamma (under volume control) radio by Philips. Full details inside. 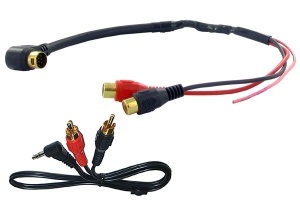 VW aux input adapter and monitor amp line cable for VW Passat Golf Touareg and Touran. Connect any iPod, iPhone, mobile phone, MP3 player etc. to the factory fitted OEM radio in your VW. For VW models 2003 onwards with MFD2 radio with AUX button and Quadlock connector at the rear. Full details inside. 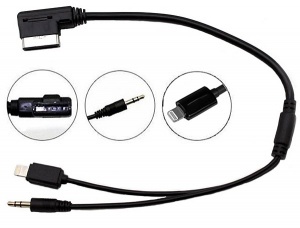 VW AUX input cable for newer models with radios such as the RCD 210, 310 and 510 that already have an AUX function. Connect any iPod, iPhone, mobile phone, MP3 player etc. to the factory fitted OEM radio in your VW. 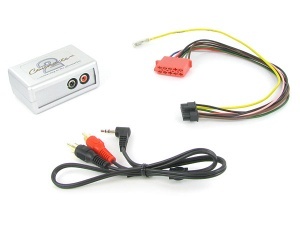 VW aux input adapter for VW Passat Beetle Sharan Golf Transporter Bora Lupo and Polo. Connect any iPod, iPhone, mobile phone, MP3 player etc. to the factory fitted OEM radio in your VW. 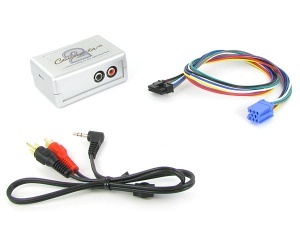 For VW models with MFD or Navi-Plus 4:3 (screen ratio) navigation (without TV tuner) with 10 pin round mini-ISO connector. Full details inside.